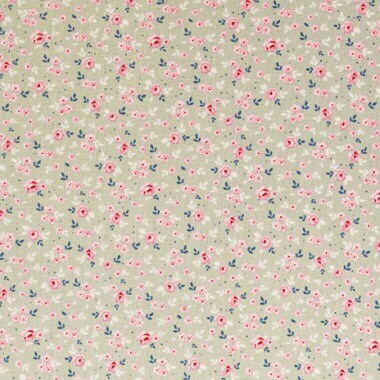 This is a delightful range of pretty patterns in soft shades of blue-grey with touches of pink, teal and cream. Multiple units will be cut as a continuous length. Beautiful fabric, quick shipping - a very easy transaction. Thank you!